Hey everyone! SOUL is happy to be a member of the 718 community and we look forward to being very active on the forum. 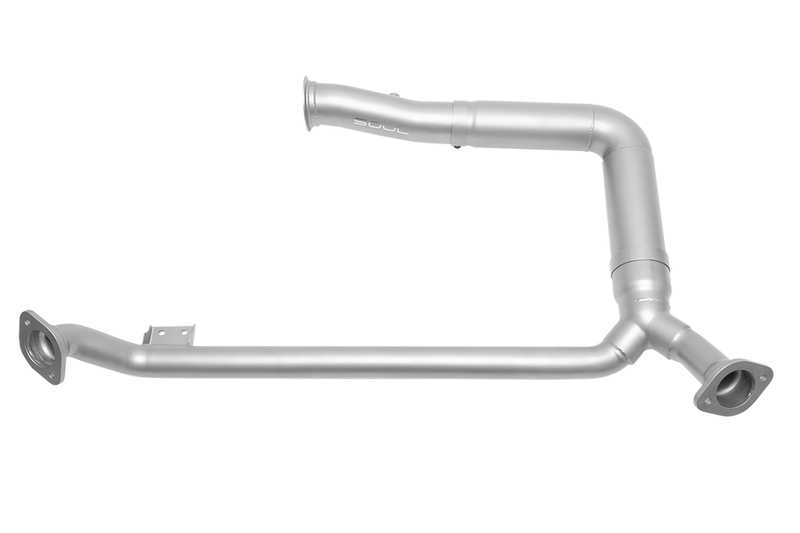 Have a look below at our Valved Exhaust and downpipes below. We'll be looking at a single pipe design from turbo to tips in 2019. We have first hand experience with such a system, and have been taking in feedback. We're going to make it so it is as aggressive as possible while attenuating negative qualities, like rasp and drone, to the best of our ability. We will be doing more testing and videos with various models to get a nice catalog of data. If anyone is interested in getting dyno numbers from a reputable shop, we'll pay for the dyno runs. We believe in getting third party, repeatable, realistic results and we won't be making up any power claims without proof. Contact us regarding that. That said, we're always here to help in any way we can. Our contact info is at the bottom of the page, just let us know how we can help! 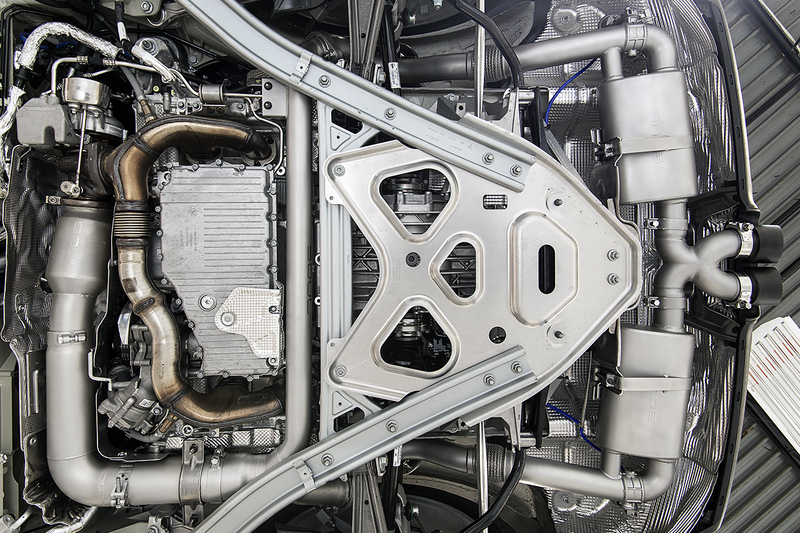 DEVELOPMENT: Our goal was to offer a valved exhaust that delivers a refined cabin presence. It is easy to increase the volume of the 718, but a challenge to bring out a more aggressive note while making the flat four sound distinctly Porsche which is a common complaint. The turbo and large amount of sound deadening in the 718 do a great job of keeping the cabin calm, but raising the volume to compensate can bring out negative notes in the exhaust such as rasp and drone. 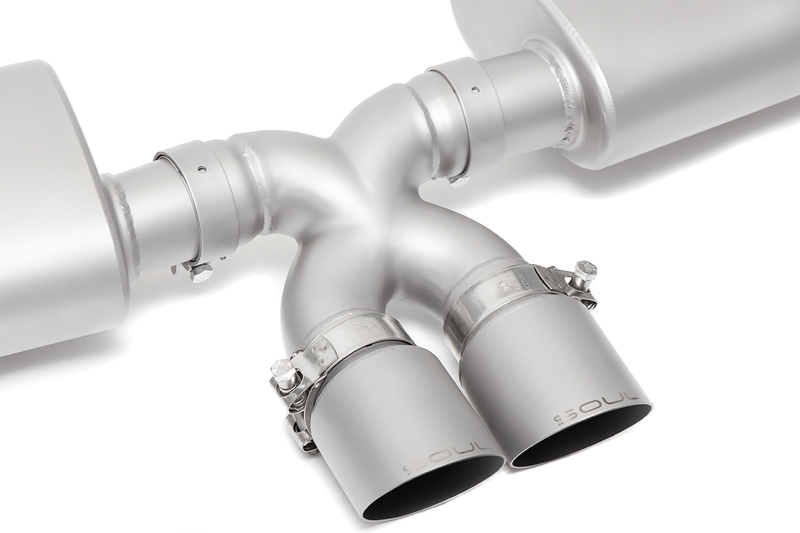 We applied the same design principles as our renowned Valved Exhaust line for previous Boxster / Cayman generations to deliver a refined increase in sound that will also pair well with an upgraded, freer flowing downpipe to yield a mature exhaust note without ever being overbearing. 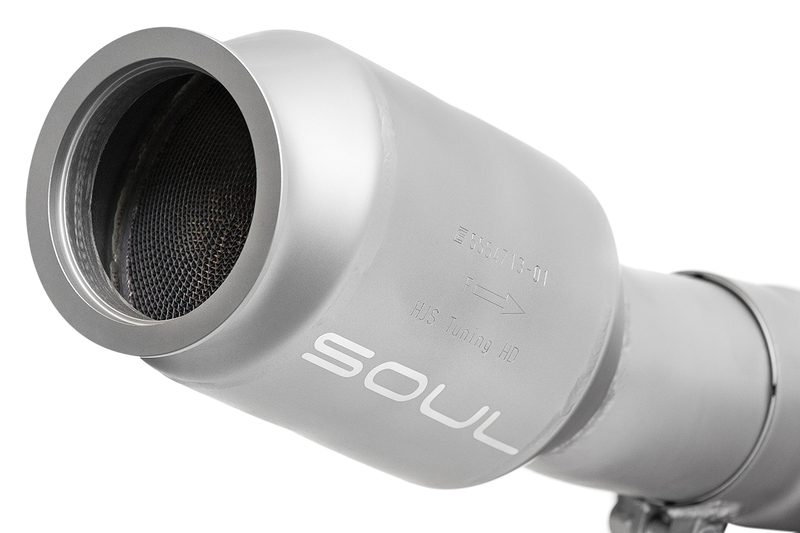 This is a superior option for cars not equipped with the Porsche Sport Exhaust from the factory. CONSTRUCTION: Each system is made from mandrel bent T304L stainless steel tubing (featuring 2.5″ OD over axle pipes) and features mufflers with fortified casings in the interest of durability. With valves closed the exhaust gasses are routed into the SOUL muffler, which is packed with high quality sound deadening material designed to withstand abuse and not blow out over time. The mufflers are incredibly effective at minimizing drone. Exhaust gasses make their way through the muffler and out through perforations into the outer piping. With valves open, exhaust gasses are now free to exit out through large 2.5″ piping while perforations allow exhaust gasses to “talk” with the muffler, encouraging a fuller, more robust tone. SOUND: You could describe the sound experience as PSE Plus! The tone in the cabin with valves open is about the same as PSE, not intrusive at all. Under heavy load the volume difference is noticeable, more aggressive while still refined. With valves closed, you can carry on a phone conversation on the highway without any intrusion from the exhaust. 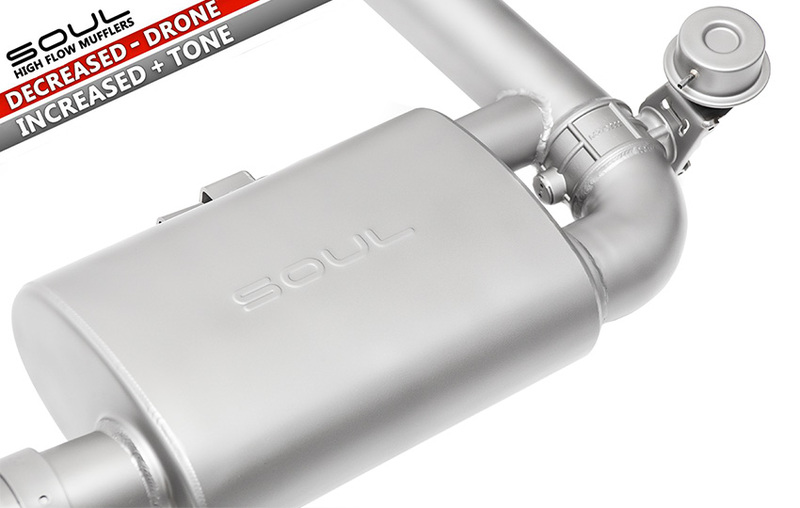 When paired with an upgraded downpipe / catalytic converter the exhaust offers a respectable level of snarling and crackling without droning at all RPM and throttle loads. Sport mode unleashes an increase in crackles and burbles. VALVE OPERATION: A valve controller is included with every system and is required for non-PSE cars. PSE equipped cars will retain full factory functionality by using the factory vacuum lines. The valve controller is optional for PSE equipped cars and allows full valve control at all times. Valve functionality can be controlled by the factory PSE button, included valve controller fobs, and with HomeLink buttons. TIPS: Choose from several different tip styles and finishes. Single wall tips have around a half inch of depth adjustment to allow for the tips to be sunk in to just show the logo at their deepest and pulled out more if desired. Double wall chrome tips are longer in length by 1″ and protrude from the bumper aggressively. Logo customization is available, please contact us. DEVELOPMENT AND TESTING: The 718 is rather quiet in factory format. Replacing the restrictive factory catalytic converter with a freer flowing unit adds to drivability and also unlocks the sweet sounds of the turbo without adding any negative notes to the overall exhaust tone. The HJS HD 200 cell catalytic converter and smooth mandrel bent piping ranging from 90mm down to 55mm upon exit encourages better throttle response and a more exciting exhaust note. Easy to bolt in with no modifications required, this is a great, reversible solution to make your Boxster or Cayman more exciting. 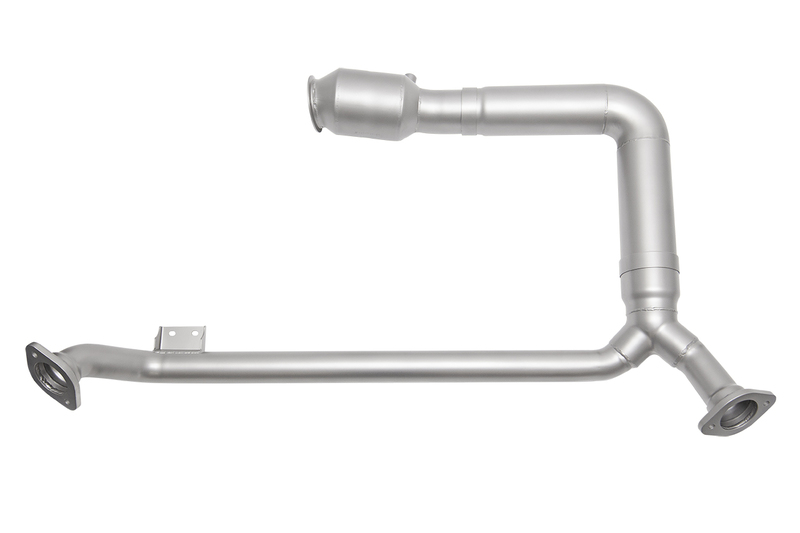 CONSTRUCTION: Each downpipe is assembled out of mandrel bent, thick wall T304L stainless steel, then rigorously quality checked. Back purged TIG welding ensures proper weld penetration and longevity. HJS CATALYSTS: The highest quality catalytic converters available, known for their industry leading flow and durability. They are efficient enough to meet strict EURO 4 emission standards while still allowing for an increase in flow – all without a check engine light. The HD design uses premium triple foil winding for maximum strength. The brazing stripe is an extra feature in the interest of durability – it prevents the core from moving or experiencing any damage from sustained high horsepower abuse. The 200 cell design uses a premium wash coat of precious metals to achieve a high level of effectiveness at catalyzing even with the increase in exhaust flow. We cover our HJS catalytic converters with an unprecedented 3 year warranty while the materials and workmanship are backed by our Lifetime Warranty. DEVELOPMENT AND TESTING: The 718 is rather quiet in factory format. Eliminating the restrictive factory catalytic converter adds to drivability and also unlocks the sweet sounds of the turbo with a major increase in snarling and crackles from the exhaust. The sound is aggressive without droning in the cabin. Smooth mandrel bent piping ranging from 90mm down to 55mm upon exit encourages better throttle response and a more exciting exhaust note. Easy to bolt in with no modifications required, this is a great, reversible solution to make your Boxster or Cayman more exciting. We highly recommend an ECU tune with this modification to prevent boost spikes that result from the major increase in exhaust flow. PACKAGES ARE AVAILABLE pairing both Valved Exhaust and downpipe of your choice for a $245 discount! 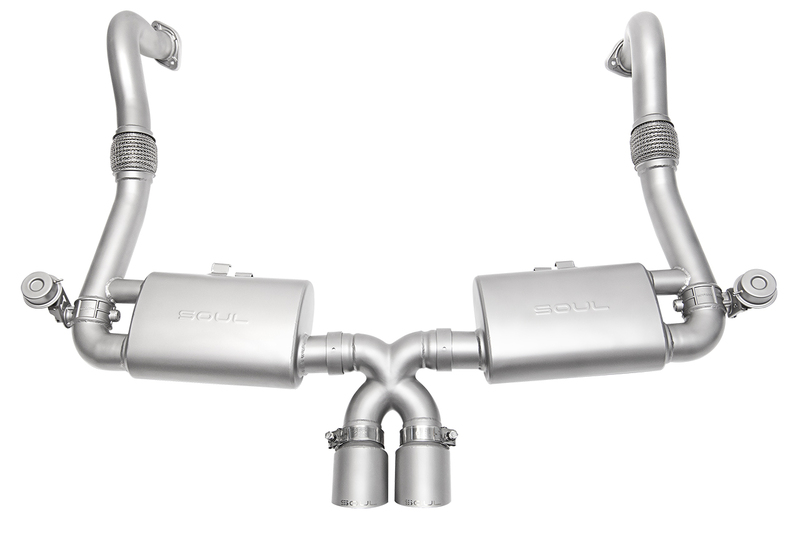 LIFETIME WARRANTY: Enjoy your SOUL exhaust parts with confidence on both the street and track as they are covered by our Lifetime Warranty. Yes, we mean it...a full warranty for track use! Our team will quickly work with you to resolve any issues or answer any questions that you may have. PACKING: We foam pack every product to ensure your components arrive in perfect condition. CUSTOMER SERVICE: We are standing by to help in any way we can - pre sale and post sale, just let us know. No customer left behind, ever! We are here to help in any way you can. If you have questions, need assistance, or would like to place an order we are always willing to chat with you! Can't wait to get these on our dyno and start working on a COBB pro-tune to to go with them! Viffermike and sobiloff like this. How about a heat shield on the part thats going thru the wheel well? Thank you! 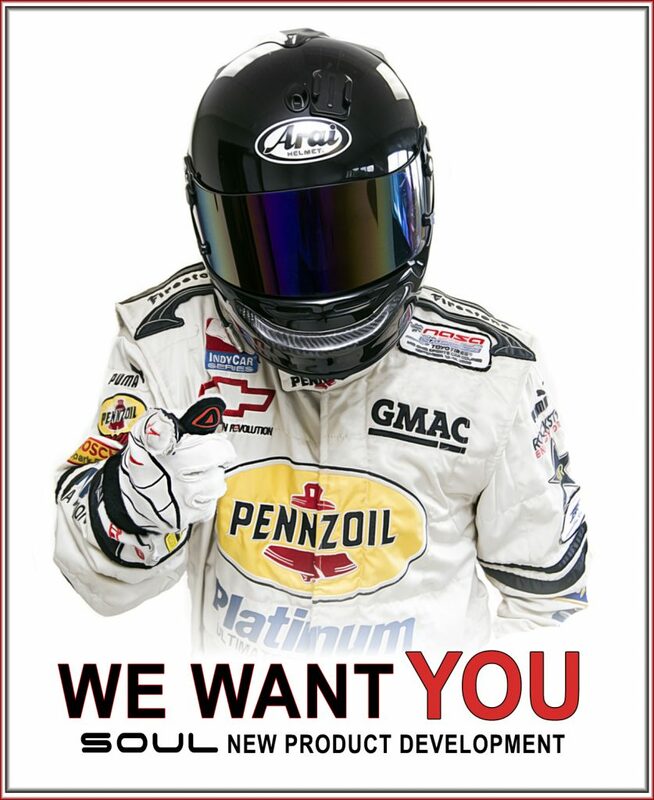 Let us know when you're ready! Increasing the cost of the system outright vs the benefits of adding heat shielding to every system made us choose against it. We can ceramic coat or heat wrap the exhaust if desired - and we're always happy to chat about getting the right options and components for any build, street or track - but the overwhelming majority of the systems on the market for all gens of the Boxster / Cayman forgo them. johan and [email protected] like this. Hey everyone! We're offering incentives to anyone who can get us good video content, get us third party dyno numbers, and / or share their in depth review of our exhaust components with the forum. There are a lot of possible configurations out there and we aim to provide as much information as we can. If you can help, we'd like to help you! Send us a PM if you'd like to discuss being rewarded for helping us build a library of content. Here's a quick inside look behind the scenes in the shop as we build a custom dual tone valved exhaust for the AMMO R8 V8! We've got all components in stock and ready to ship! Interested in chatting about your options and sound preferences? Let's chat! Are you going to sell these in the uk ?